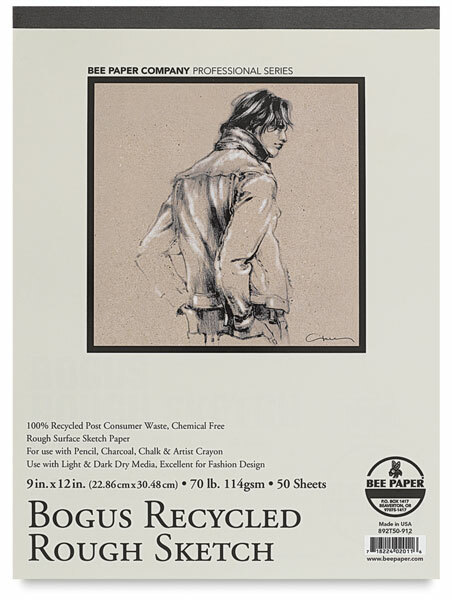 Made of 100% post-consumer waste, the Bogus sketch pad is a rough finish paper that's chemical-free and completely biodegradable. 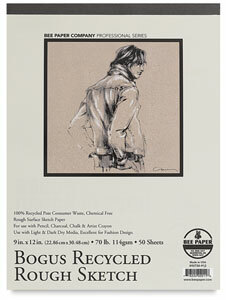 Its medium brown tone works well for pencil, charcoal, pastel, chalk, and artist crayon. 70 lb (114 gsm). 50-sheet pad.